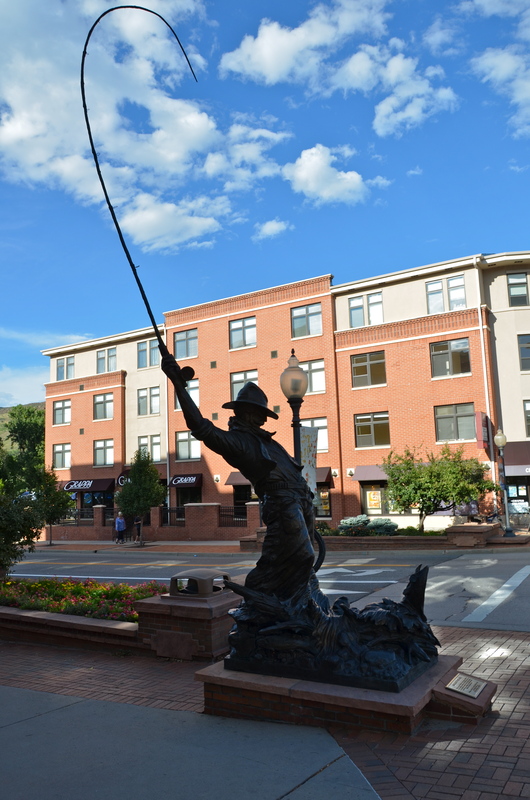 The little town of Golden, Colorado is situated less than 30 minutes drive from Denver. My friend and I stopped there for a late lunch/early dinner after hiking up to St. Mary’s Glacier. We were headed to see The Local Natives and The National Bands at Red Rock Amphitheater. After walking a few blocks through town and taking some photographs…we stopped at The Bridgewater Grill for our meal. We were seated on the outside patio with a view of the small river/large creek. It’s attached to the Golden Hotel. The food was good…I would recommend it. 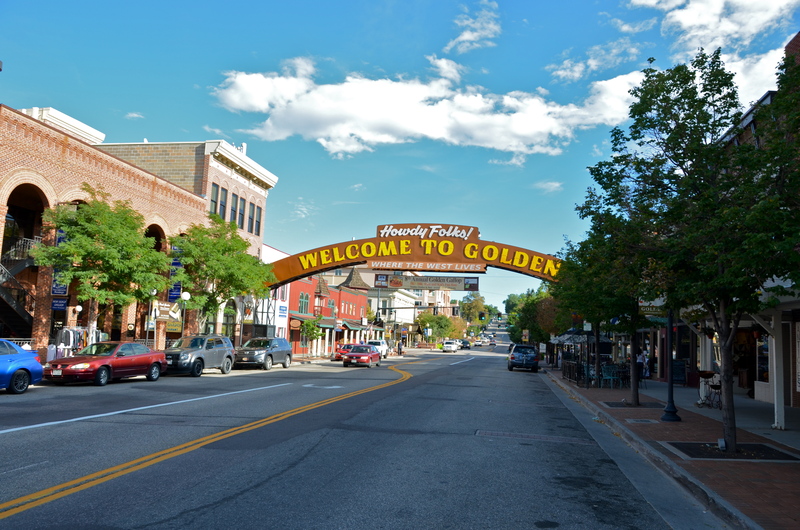 The sign as you enter town, “Howdy Folks, Welcome to Golden, Where the West lives” is a nice touch! 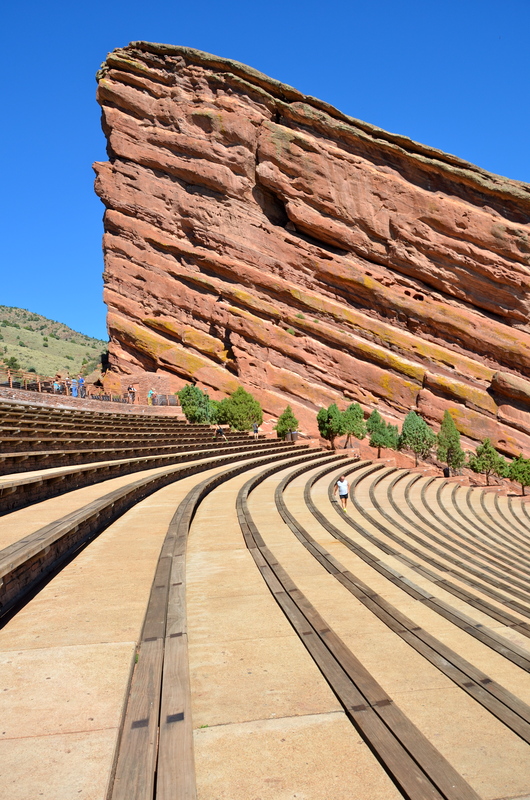 Attending a concert at Red Rock Amphitheater is a “must do” if you visit Denver or the surrounding areas! As you can see from the photos, it’s magnificent. Construction began in 1936 and finished in 1941. My friend Gina and I stopped there Tuesday on our way to go hiking at St. Mary’s Glacier to take photos and check it out, even though we were coming back later that evening to attend a concert with Frightened Rabbit, Local Natives, and The Nationals. They’re Indy bands and our favorite was the Local Natives. I’ve seen an opera at the Santa Fe Opera House…also an amazing outdoor venue…but Red Rock Amphitheater is simply amazing! In addition to the scenery, the acoustics are wonderful and you can bring in your own cooler with non-alcoholic beverages and snacks. You’ll notice people running and doing exercises during the day and it’s free to enter when there aren’t concerts. 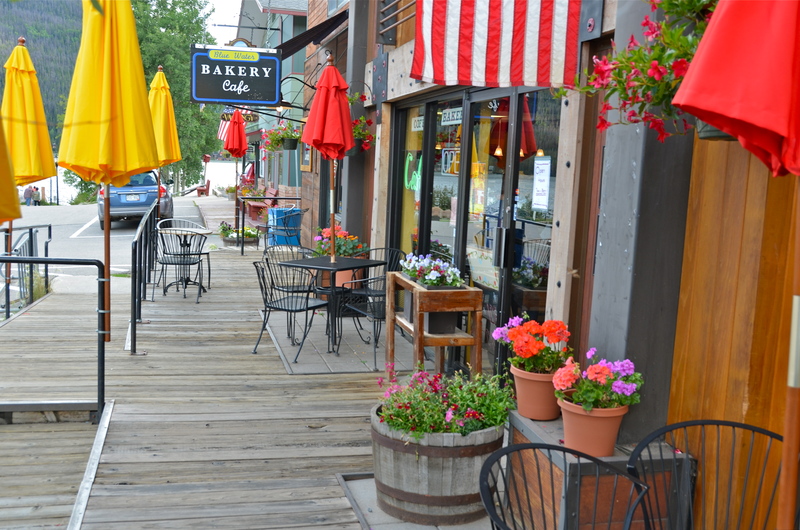 Located only 30 minutes from Denver, it’s an ideal place to visit! I didn’t take my camera later that evening because they prohibit cameras with detachable lens. At night there are lights situated to illuminate the rocks and it’s simply gorgeous. Even the bands were commenting on how they felt honored to play there! We had reserved seats in row 52, but fortunately a guy that works there gave us the tip that the first 25 rows are general admission (first come/first serve), so we sat in row 20 towards the middle and had an excellent view! We made friends with the two couples on both sides of us and one of them even shared their homemade mozzarella cheese and homemade bread with us. 16th Street Mall is a mile long pedestrian only street (16th Street) in Downtown Denver that has tons of restaurants, bars, and shops and loads of character! Actually there are buses that are free and take you up and down the mile. 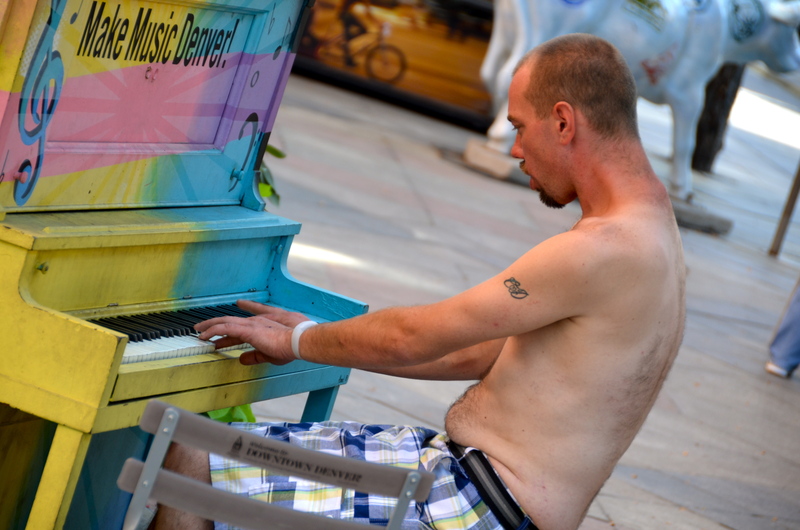 They have pianos situated at intervals in the street for anyone to sit down and play and call it the “Make Music Denver” project. I was able to photograph a few of them. I took two photos of the guy on the left and he looked at me for the second one. 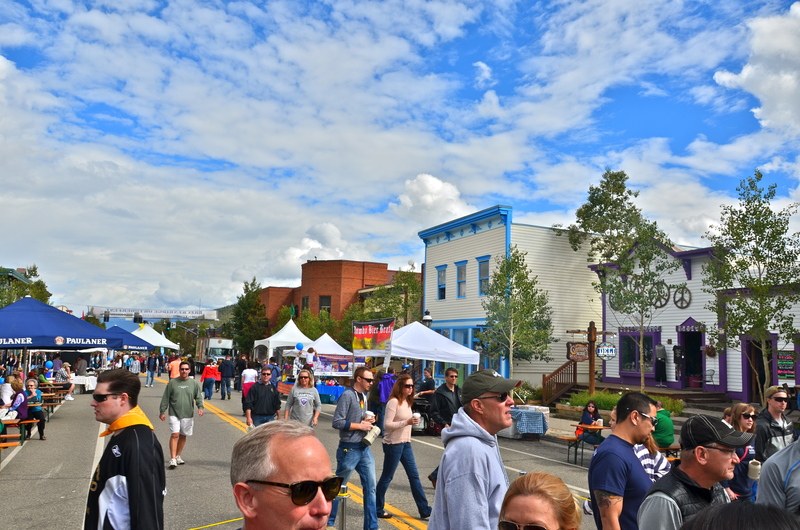 My girlfriend and I arrived in Denver on Sunday from spending two nights in Breckenridge, where we had a great time at the Octoberfest. It was raining, so after we got the keys from our Airbnb host to her condo near the Santa Fe Art District, we settled in and basically relaxed the remainder of the day. She had DVDs, so we watched a couple of chick flicks and ordered pizza. It was nice to have a chill out day after being on the go. Monday we were ready to see Denver! 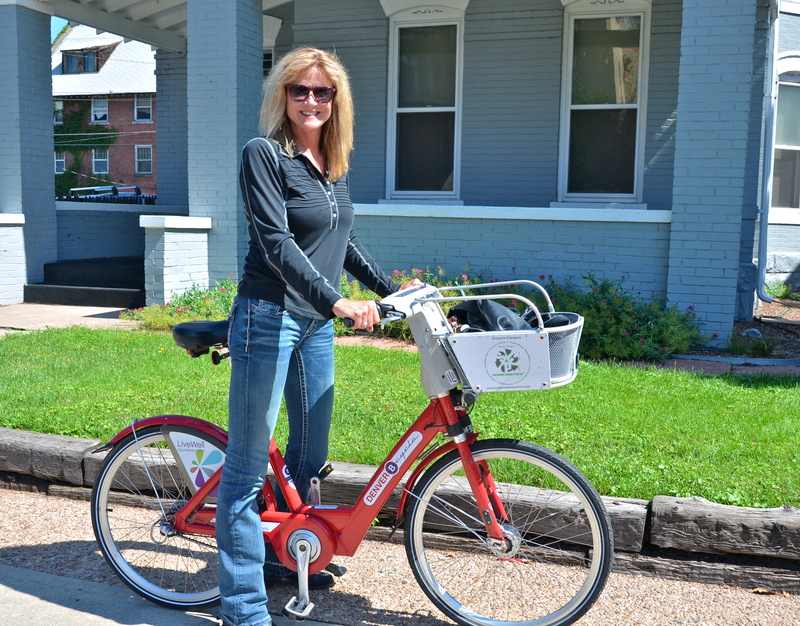 Although we were only a mile or two from the 16th Street Mall area, I had researched renting a bicycle and discovered a cool system called Denver B Cycle. There are stations or kiosks located all over Denver where you can use your credit card and for just $8 (good for the day) rent a bicycle for 30 minutes. If you return the bike to a station within the 30 minutes there is no extra charge. If you return it within 30-60 minutes it’s an extra $1.00 and for each additional 30 minutes it’s $4.00. We ended up spending $10 total per person. I wanted to check out Cheesman Park which was about 2 miles away, so off we went. Some of it was uphill, so we got a small workout. We both liked having a basket in the front to store our things. 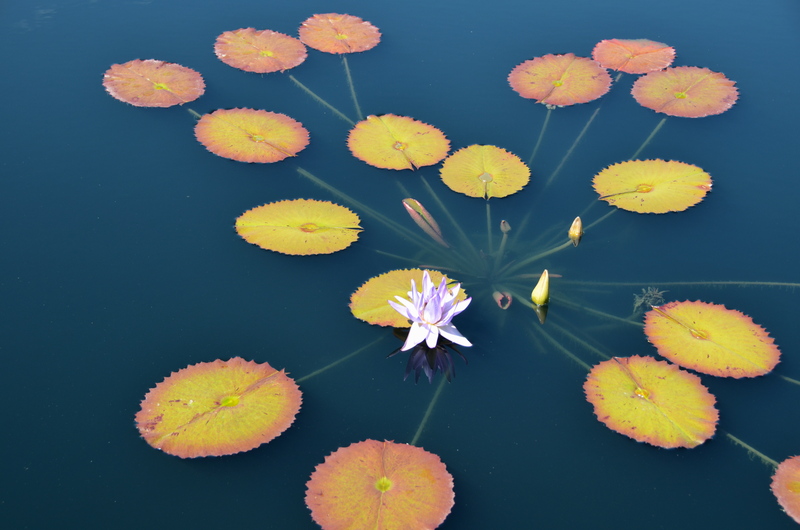 Next we went to the Denver Botanic Gardens…which I posted about yesterday. Our final stop before turning the bikes in at the Convention Center was the 16th Street Mall area…a mile long pedestrian only area with tons of shops and restaurants. I have a separate post about that also. I have a few unique photographs of life in Denver to share with you here. Not only are the Denver chipmunks friendly…so are the squirrels! Denver Botanic Gardens is massive and unbelievably lush and beautiful! 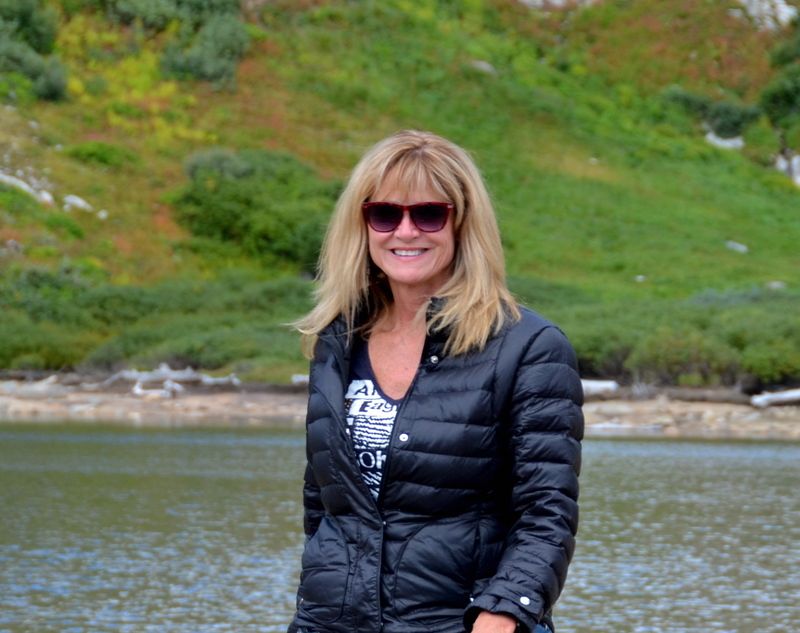 My friend Gina and I were on a week-long trip in Colorado and our first day out and about in Denver, we rented bicycles and rode a couple of miles to Cheesman Park. We were told how lovely the Denver Botanic Gardens are while asking a lady directions to downtown Denver, so we made our way over and started taking photographs. Within a few minutes we both were wondering why there was no charge or fee to enter the gardens. We thought perhaps since it was Monday. Later after leaving, I researched and discovered there is a $12.50 charge per adult. Oh well…I’ll chalk it up to good karma! 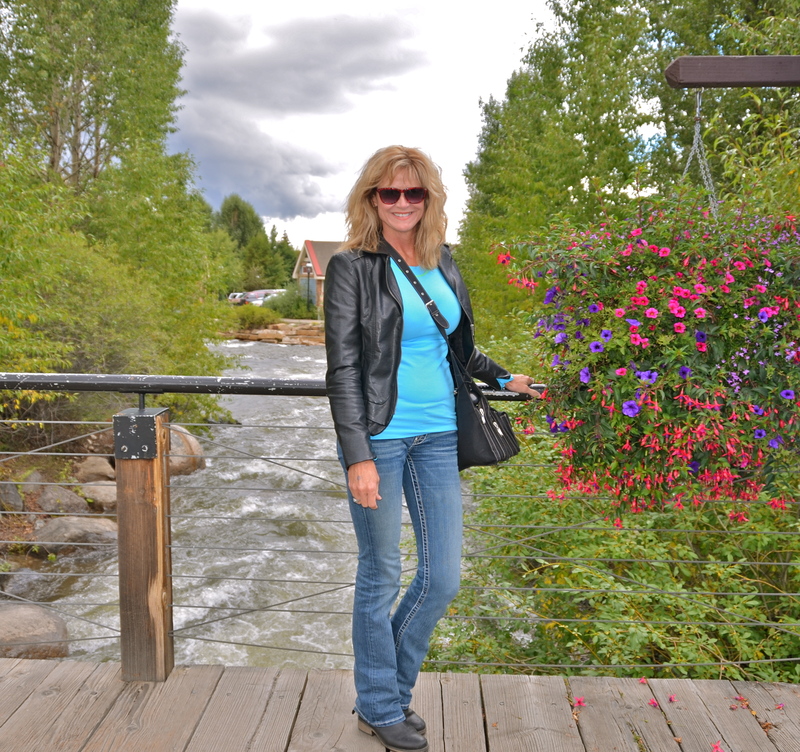 Breckenridge, Colorado has it All! 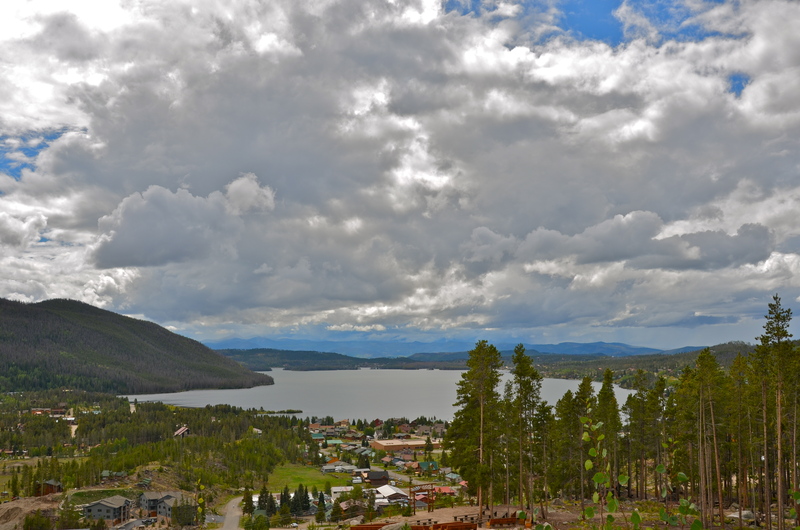 Saying goodbye to Grand Lake in Colorado was difficult! My friend Gina and I only stayed one night at the Grand Lake Lodge and decided to drive to Breckenridge for their Octoberfest. We started our week long adventure in Estes Park but had to escape the flooding. There was some fog out when I walked outside to look at gorgeous Grand Lake before leaving, which just created more atmosphere! 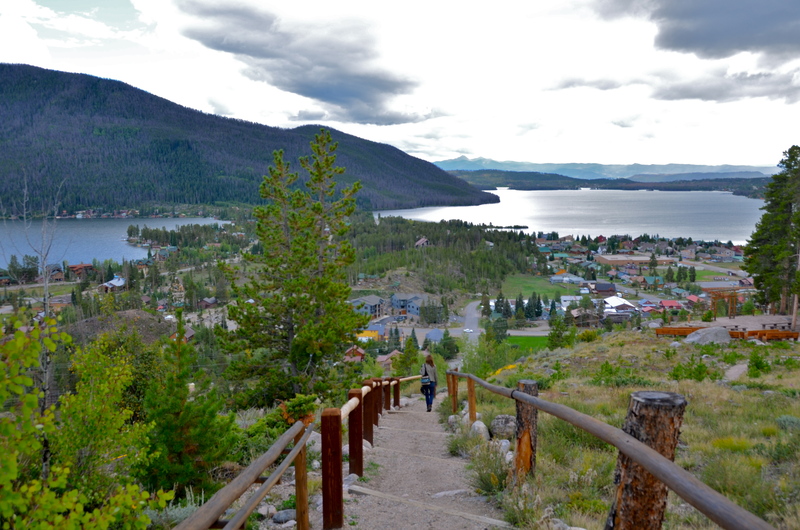 After hiking down the big hill from Grand Lake Lodge, my friend Gina and I walked through the quaint town of Grand Lake, Colorado. It reminded me somewhat of the town of Silverton, Colorado. 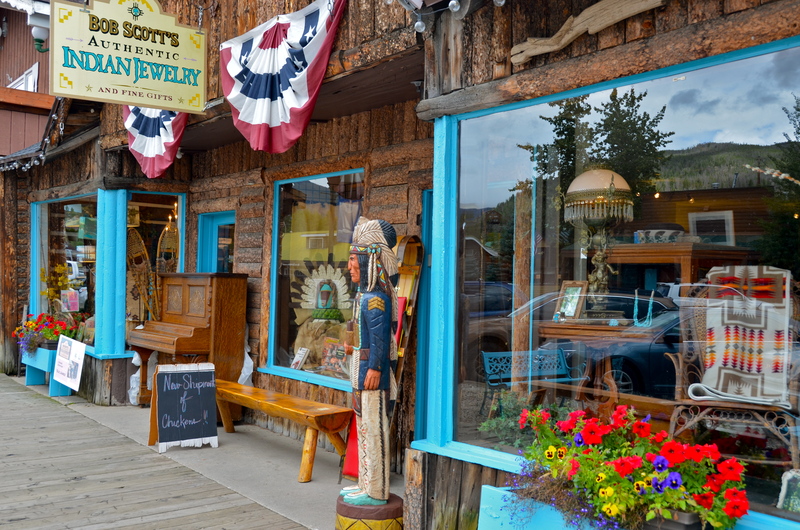 Lots of colorful shops and restaurants with the western look! 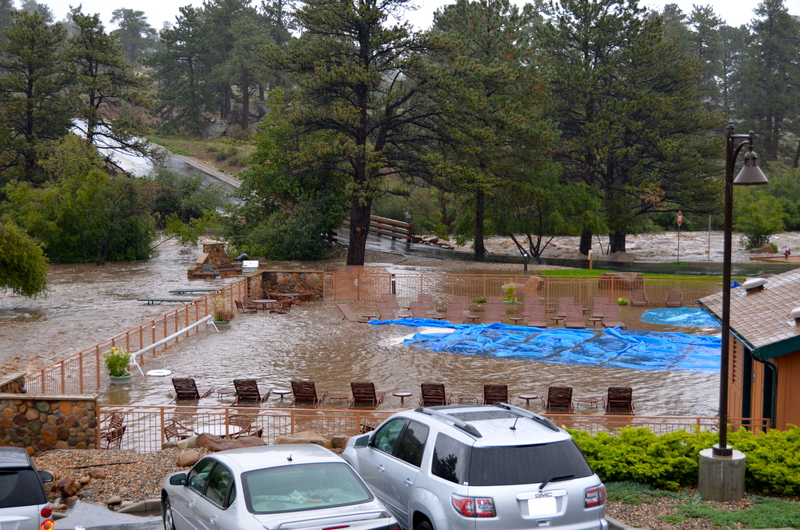 We were delighted it wasn’t raining having left the flooding in Estes Park earlier that morning! The path forks off to the left but is not well-marked. 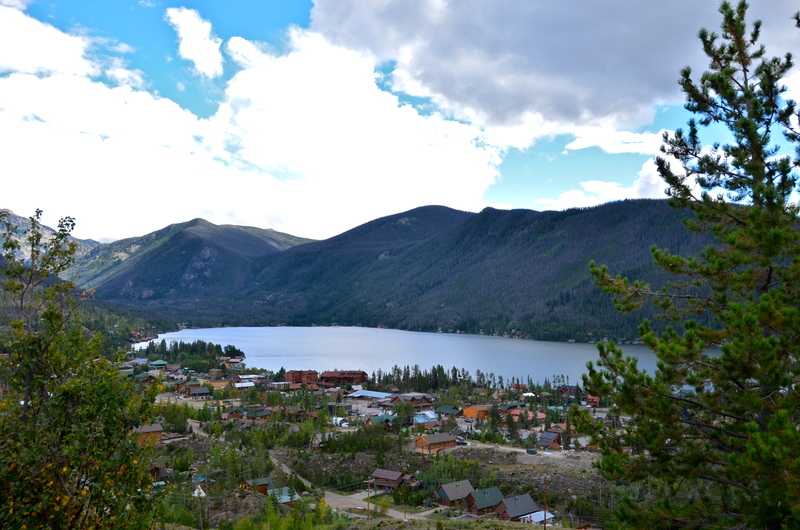 Grand Lake, Colorado is the best kept secret in Colorado! 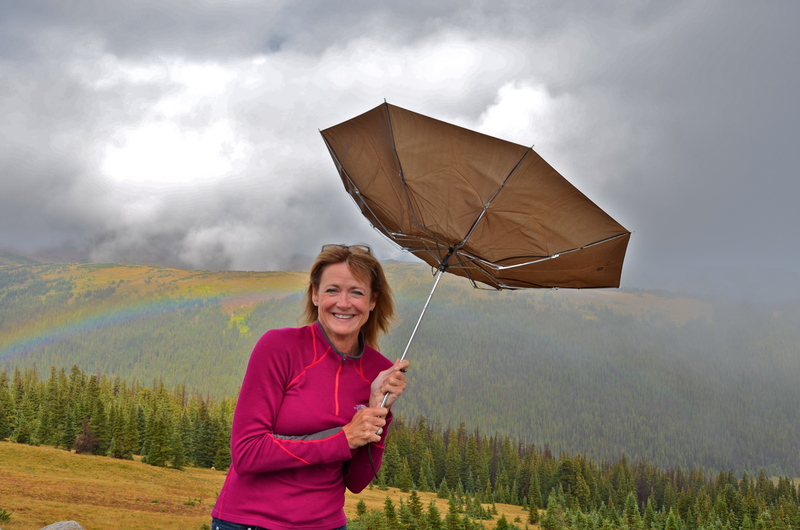 If you’ve been following my trip in Colorado, then you’ll remember my friend Gina and I narrowly escaped the flooding in Estes Park by driving over Trail Ridge Road in the Rocky Mountain National Park to Grand Lake, Colorado. Originally we had reservations through Airbnb at a home in Boulder following two nights in Estes Park. I contacted the owner and requested a refund. He wanted to wait and see if the weather improved before issuing the refund. Anyway, we stopped a few times to take photographs and arrived in Grand Lake a couple of hours later. We didn’t have a firm plan of where we would end up for the night, but fortunately the weather was much better at Grand Lake. I saw a sign that said Grand Lake Lodge, historic landmark, so we stopped to check it out. After some haggling with the General Manager over price, we rented a small cabin that was quite rustic. 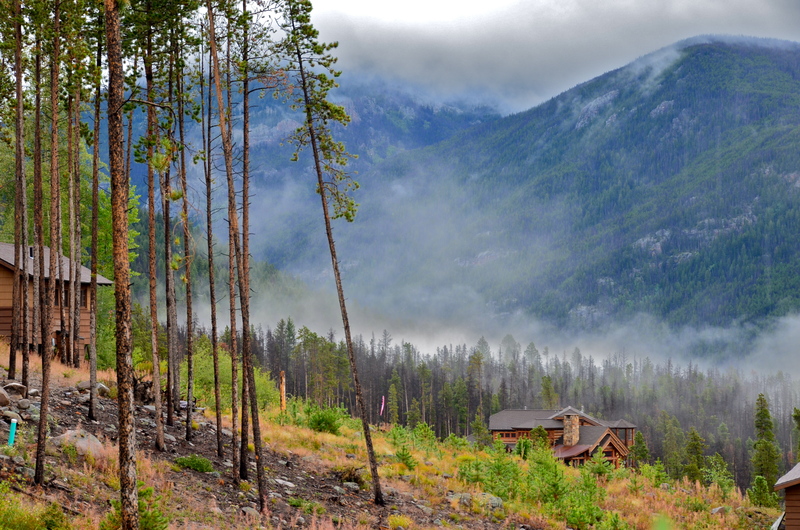 The view from our cabin was unbelievable! When I awoke Thursday morning at 3:30am, I got out of bed, rather than lie there trying to get back to sleep and looked through photographs I had taken the previous day. At day break, I looked out the window at the Thompson River raging next to the resort we stayed at. As you can see from a photo I took minutes before we escaped, the river had taken over the pool and hot tub. After calling the front desk a couple of times with my concerns with the rising water, they called our room and said we were in pre-evacuation mode…be ready. My friend Gina and I made the decision to “get the heck out of there”, rather than wait until it was too late to leave! So we packed the car in the rain and drove to the road/bridge pictured in the photo below. By this point there was a yellow “do not cross” tape blocking the way and I asked the resort manager (who was sitting in a golf cart by the bridge) if we could cross at our own risk. He said “no” and told us where the only other road out of the resort was located. I drove over there and headed to Trail Ridge Road into the Rocky Mountain National Park. One section of a road had a couple of inches of water running across a 12 foot wide section. I made the decision to drive across it. Trail Ridge Road was beautiful! It took less than an hour and one-half to get to Grand Lake, where we stayed for the evening. We stopped a few times for photo opportunities. The wind blew our umbrella into the upside down position, which made for a cute photo. And the rainbow just added that bit of magic!